Check out this MP3 player alarm clock from Brando. It comes with 1GB of built in memory to store your favourite tunes on and you can set them as your alarm to wake you up in the morning there is also support for SD/MMC cards in case you want to increase the memory size to store more tunes. It connects to your PC via USB, and can also be used as an MP3 player as well an alarm clock and it is powered via either mains power or 4 x AA batteries. 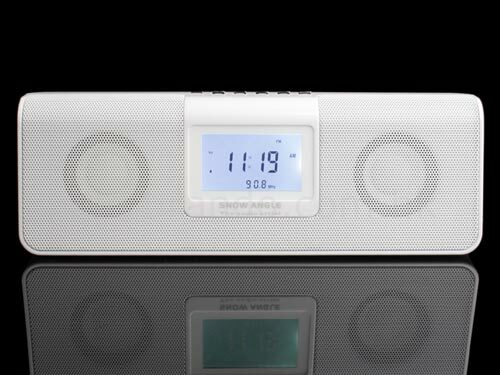 This MP3 player alarm clock measure 248x84x42mm and weighs 343g, and is available to buy online for $48 from Brando.